Hello there! Meet our new Sun Lion. He’ll be here all year-long through 2013 (and more!) to help you keep track of each day, in a sunny bright way. Never wonder what day it is again! 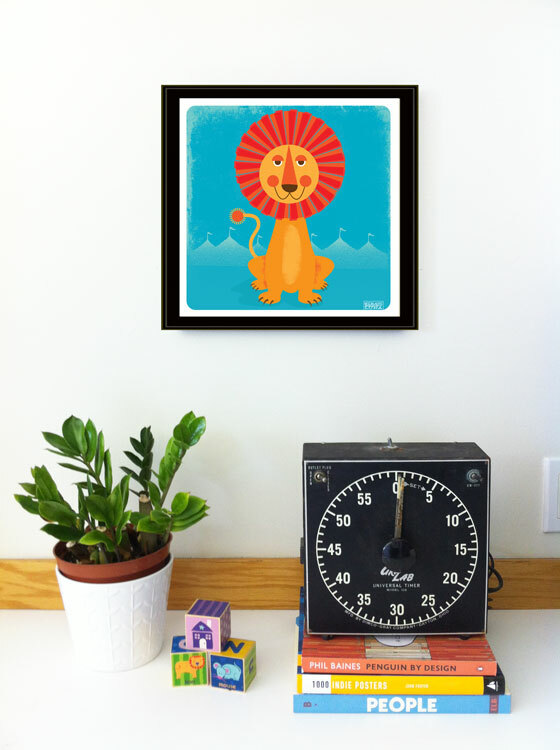 Our new, bright & cheerful sun-faced Lion is here to help and keep you company every single day of the year. 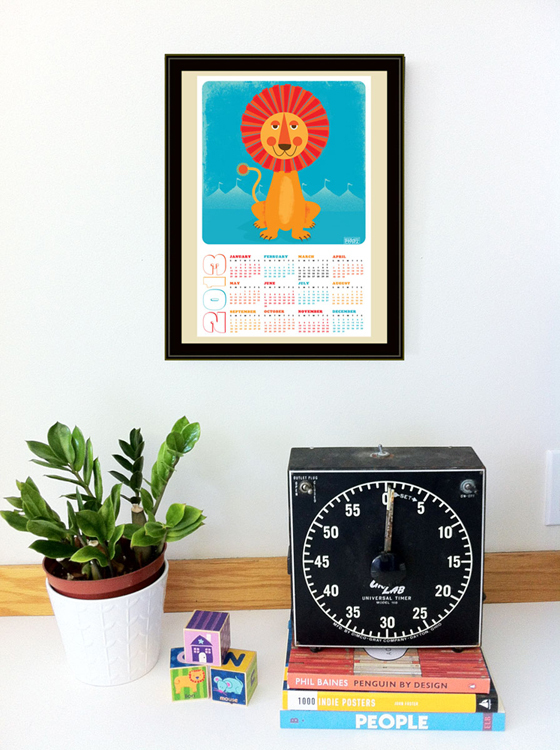 And, with a handy little perforation between the Lion and the dates, you can pop the artwork into a 12×12 record sized frame when the year is done. See below. Boom! All hand illustrated by us and wonderfully printed on an offset press here in Pittsburgh. Bright, smart, & ready to hang on any wall and keep you company throughout the year. 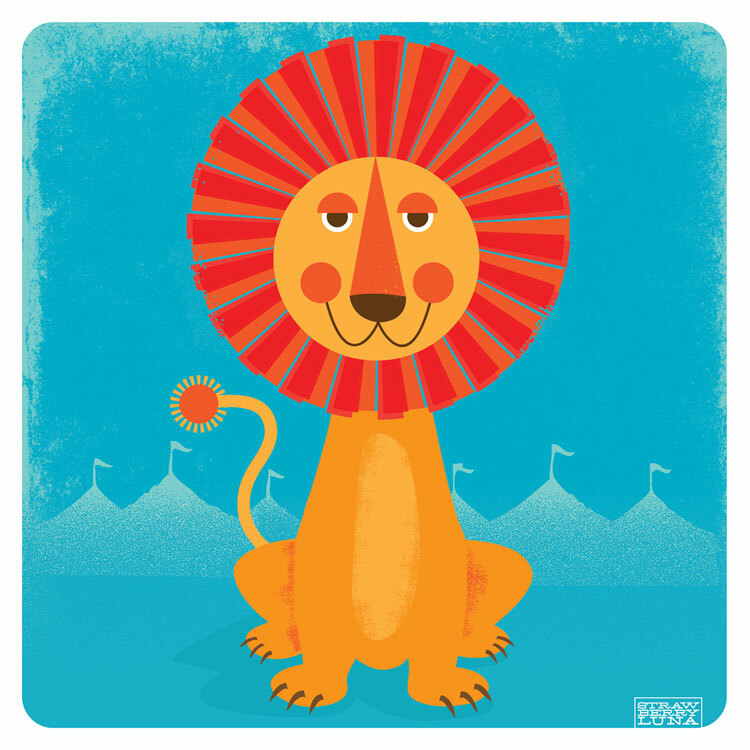 With incredible detail & vibrant colors and archival inks and archival, eco-certified 100lb cover paper we think you’ll love the addition of a Sun Lion in your life too. This fresh-faced-fellow is now available in our webshop here and also in our Etsy shop here. – Edition: Limited edition of 200 Each print is hand signed and titled. – Size: As the complete Calendar, 12×18 inches (30.48cm x 45.72cm). 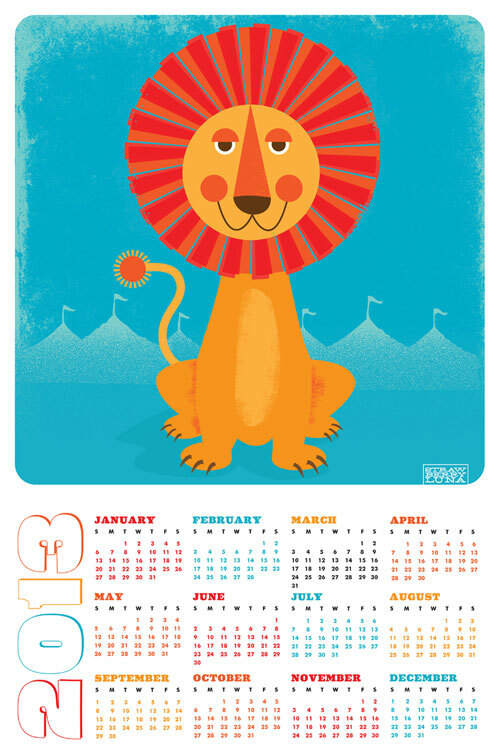 Remove the Calendar portion at the bottom and the art print portion is 12×12 inches (30.48cm x 30.48cm). – Paper: Mohawk Via Bright White, 100lb cover weight which is an archival, no-acid, American manufactured paper by Mohawk using Wind Power electricity. Produced with 30% post consumer recycled content. Forest Stewardship Council (FSC) and Green Seal Certified. Framed 12×12 inch record frame sized art print after detaching the Calendar!